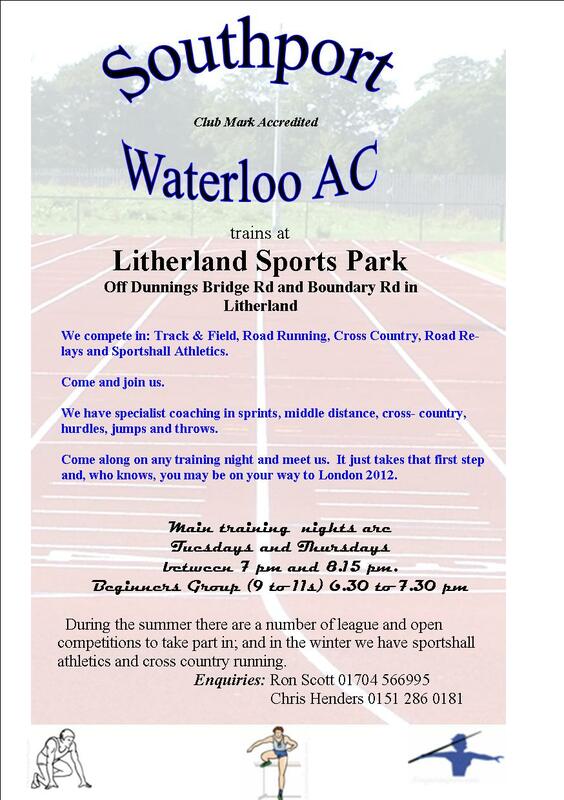 Southport Waterloo is committed to being an effective, safe and child-friendly athletics club. We are keen to form links with local schools and several of our track & field coaches can deliver athletics coaching sessions in junior and high schools. We are members of Sefton Athletics Development Group and work in partnership with Sefton Leisure Services and the education community to promote athletics within Sefton. We provide some competition for schools, in both cross country running and road running, and work with others to provide track & field competition. Below are details of our 1 Mile Races for schools in Victoria Park in Southport and the Sefton Junior Schools' Cross Country Championships. 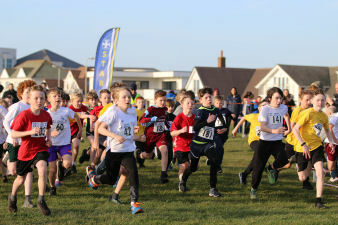 These championships, for school years 5 and 6, boys and girls, started in 2008, building on a long tradition of the Club providing cross country running for school children. 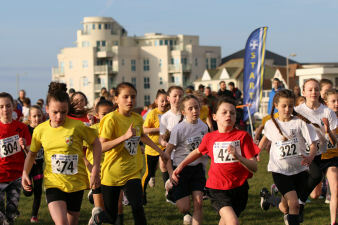 To give every school in the borough an opportunity to compete, the event moves to different venues each year. They have been held in the Rimrose Valley in Thornton, Birkdale Common, Derby Park in Bootle, Deansgate Lane Playing Fields in Formby, Litherland Sports Park, Bootle Golf Club and Jubilee Woods; all very different courses and offering good, suitably challenging cross country running. This year, 2019, we go to the south of the borough, to North Promenade, Blundellsands, overlooking Crosby Beach and Anthony Gormley's 'Another Place'. For further information, see below or contact the Race Director Ron Scott. 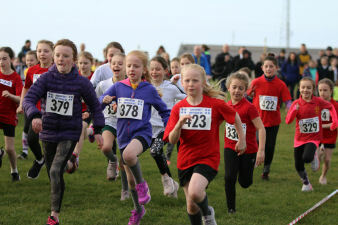 These races for schools started in 1984 as part of the Sefton Festival of Sport and proved so popular that they are held annually in May. 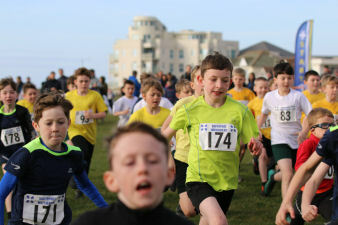 There is competition for school years 5 to 11 over the classic 1 mile distance on paths within the safe surrounding of Victoria Park in Southport, with kind permission of the Southport Flower Show. In addition to medals for the 1st, 2nd and 3rd finishers in each race, there is a team competition with 4 to count in years 5 - 8/9 and 3 to count in older ages. Overall, the junior schools compete for a Junior Schools' Trophy and the high schools compete for the Champion Secondary Schools' Trophy, based on the best two aggregate scores. A Fair Play trophy was added in 2012. 1 Mile Age Group Winners and Record Holders.